Almost any pet can be easily trained to use your new Hale Pet Door™ by using a few simple guidelines. Never force or push your pet through the pet door. This is a new experience for them and they need time to adapt. 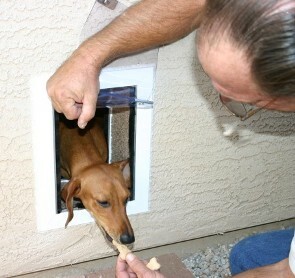 Wait until your pet wants to go outside to use the pet door for the first time. 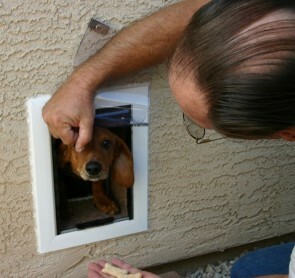 At this time, bring your pet to the pet door, go to the other side of the door and open the flaps toward you. (It may be helpful to have a second person with you so one of you can be on each side of the door or wall.) Gently coax your pet through the door by using his favorite toy or treat. 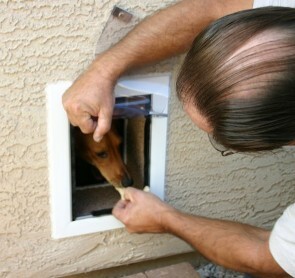 Use the same method in reverse to bring your pet back inside when he is ready. Each time your pet comes through the door, you should hold open the flaps a little less and let him begin pushing on them. 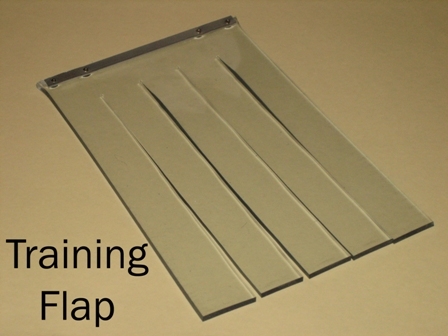 Finally, show your pet that the flaps are easily movable and not an impassable barrier. Do this by gently flipping the flaps open. This entire process is usually done in one afternoon. If you experience trouble in the training process, please call for free advice and suggestions. 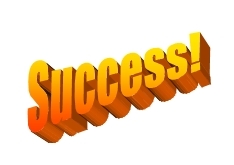 Toll free 1-888-293-6411. NOTE: Occasionally an animal (usually a small one) will initially experience some reluctance with pushing open the flaps. 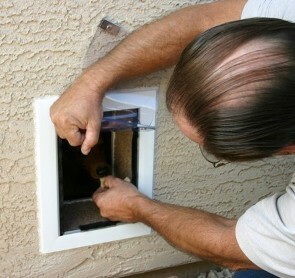 To help acclimate your pet to this new experience, we offer a temporary training flap to replace the standard door flap. This training flap is made of a lighter weight material, has no strikes to hit the magnets and has been vertically slashed several times to make it extremely easy for the animal to push open. After your pet is used to their new door, the training flap can again be replaced with the standard flap to maintain the security and insulation of your Hale Pet Door™. Before you order, if you are concerned that your pet may not be able to use our standard flaps and may need to have training flaps initially, try this simple test. Leave your bedroom door or another door open to just slightly narrower than your pet can easily pass through. Go on the other side of the door and call your pet. If your pet has no problem with pushing the door open wide enough, he should have no problem with a pet door. 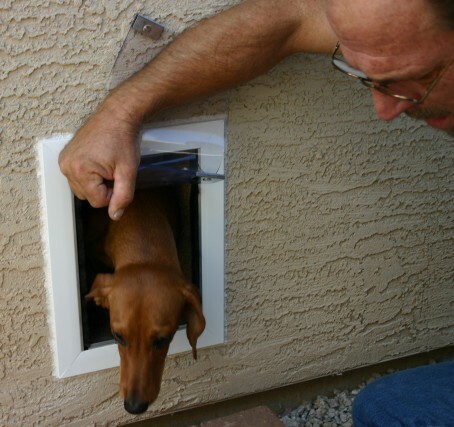 However, if your pet appears timid or doesn't push the door open, you may need to invest in training flaps.